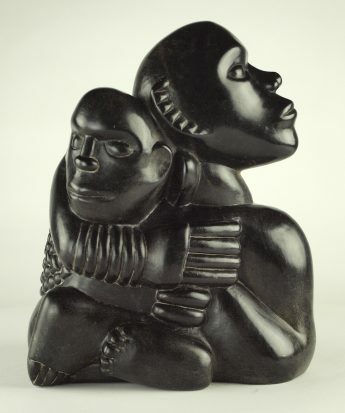 This lovely example of Bernard Takawira‘s work is being advertised for sale on behalf of a private collector. The current owner acquired this piece at auction. It came from a private collection but unfortunately there is no accompanying paperwork apart from the auction catalogue, and the price reflects this. 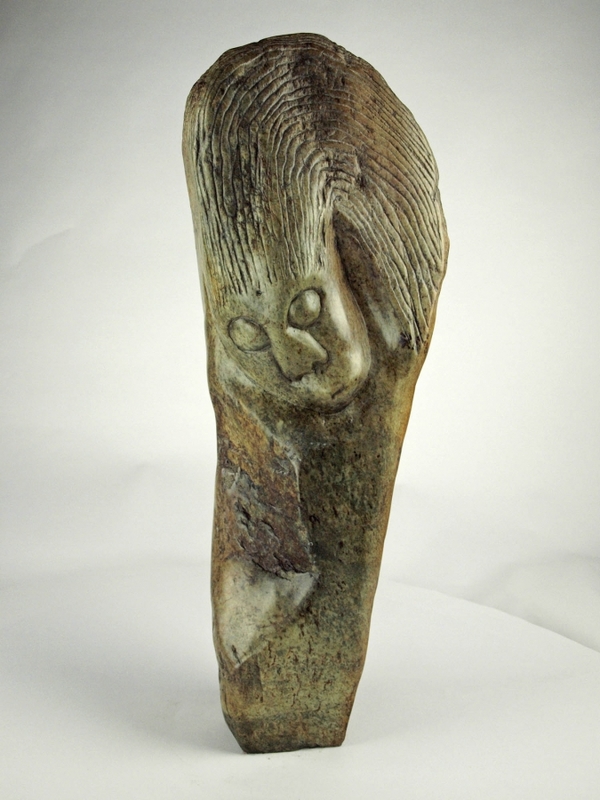 Guruve are happy that this piece is a genuine work by Bernard, despite its lost history. Bernard’s trademark signature is on the base. We would estimate it dates to the late-1980s/early-1990s. Guruve have professionally restored this sculpture so it is now in immaculate condition. We can provide photos of its pre-restoration condition. 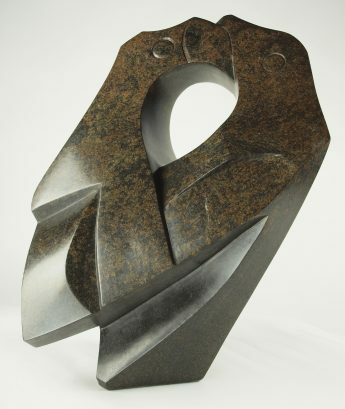 Bernard Takawira was a great name in early Shona sculpture. Pieces by Bernard do not come onto the secondary market very often, so this is a very special opportunity for a collector to acquire a piece of African art history. This piece is in the UK and Guruve will ship it from there; P&P is at buyer’s expense.